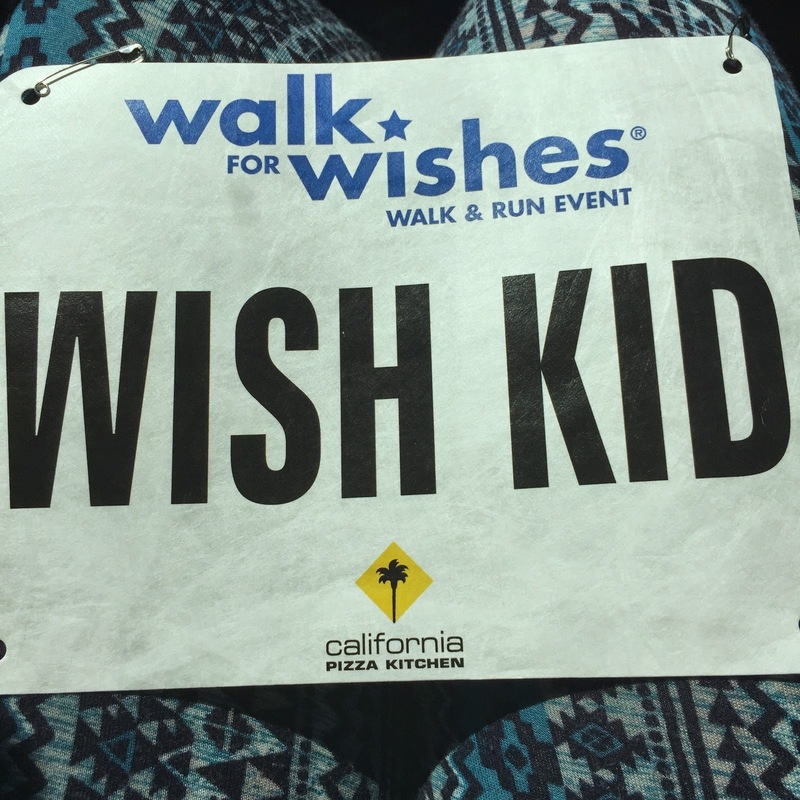 Last Saturday we woke up bright and early so that we could support Make a Wish Southern Nevada and Walk for Wishes. This is one of the biggest fundraisers of the year and they were hoping to raise $300,000 so that every child that is battling a life threatening illness could get their one true wish. This was our 3rd year participating and we hope to do this every year. Last year we had a HUGE team and raised nearly $4000 This year since Hailey had her Pacemaker surgery we've been back and forth to Utah and I didn't think that Hailey would be able to get a team together in time. We still asked for donations and we tried as hard as we could in the time we had to get a team but sadly there just wasn't enough people that wanted to participate. Next year I hope to do better and get another Team Hugs for Hailey started so that we can contribute more. Hailey got her own bib and shirt to wear that morning and she wore it proudly. My little sister and my niece joined us in walking the 1 mile while Josh ran the 5K. After the walk there was LOTS of fun to be had. There were characters walking around, information booths, balloon artist and face painting. Hailey loved being involved with giving out gifts to the top money raisers with other wish kids. Hailey loves being with the other Wish Kids. They are all family. Hailey has a runner in Florida Ms. Katie that joined our team and ran at the same time we walked. 3,000 miles apart for the same purpose. We also had someone who is also close to Hailey. Ms. Nicole was Hailey's Physical Therapist when Hailey first got sick and she ran the 5K with her son. So sweet of her to join us again this year! There was a canvas posted of Hailey when she went on her Make a Wish trip to Disney World. Hailey found it and said, "Hey MOM!! That's me. I was 4!" That was very special to see! Once Josh finished Hailey and him went around to see the cool other things around. This was a SWAT vehicle that was HUGE. Hailey is only as tall as the wheels! There was also a helicopter that Hailey jumped in to take a photo and long as we promised it wouldn't fly away. This is one of my very favorite photos taken at the event and posted to the Make a Wish website. Hard to believe that 8 weeks ago Hailey wasn't walking and was having a pacemaker placed on her heart. She's the strongest girl I know and we are so very proud of her! Way to go Hailey! We love you!